This film is a part of a Double Feature with North by Northwest. When two movies that are screening in the same theatre are grouped under the same thematic heading, one ticket is good for both features when viewed back-to-back on the same day (except as noted). James Stewart, Grace Kelly, and Thelma Ritter. In a way, no movie has more accurately reflected the strangely perverse thrill of watching movies quite like this hair-raising thriller. 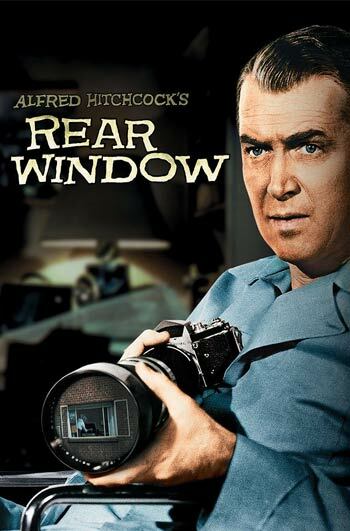 We are practically seated right next to a recently injured Jimmy Stewart as he voyeuristically observes the lives of neighbors in the adjacent apartment. When he sees something he shouldn’t have, things get really interesting.